A review headline screamed, “Cyclone Hits Slapsy Maxie’s.” The performance? Jack Cole and His Dancers at the Wilshire Boulevard supper club in 1948. Cole and company also headlined at New York’s Rainbow Room, Chicago’s Chez Paree, and the impeccable Ciro’s on the Sunset Strip. Club-goers by the thousands grappled with the intensity of Cole’s signature mash-up of East Indian dance with jazz. Then suddenly it was over, and few heard of him again. 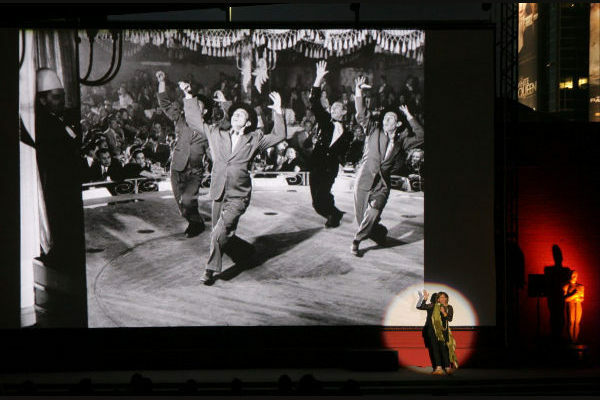 In a talk by arts•meme‘s Debra Levine, a fellow at The Center for Ballet and the Arts, you’ll revisit a world disappeared, where starting in 1934 Jack Cole brought concert dance to night clubs.